Mike Schieble joined the Gorham Inc. team in 2008 and he is now the Owner & President of the company. Mike is responsible for the day to day operations of the business, overseeing our manufacturer relationships, building a world-class sales team and executing the company’s strategic goals. Prior to joining Gorham Inc. Mike was employed at W.W. Grainger for 7 years where he was responsible for managing and growing all government contracts for the State of Texas. Mike holds BA in Business Administration from the University of Wisconsin-Madison and an MBA with a concentration in Strategic Leadership from the University of Dallas. 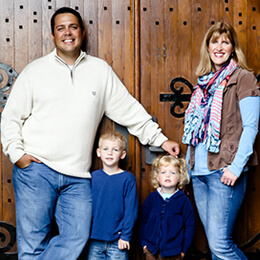 Mike is married to his wife Melissa and has two children, Ross and Luke. Outside of work, Mike is busy coaching his kids and enjoying time on the golf course and ski hill. Jim has been with Gorham Inc. since 1986. Jim covers the Illinois territory and is responsible for customer development, customer service and manufacturer relationships. Jim is a graduate of Indiana University (Go Hoosiers) with a BS in Business Administration. Jim is married with 3 children and 4 grandchildren. He enjoys sports, music (concerts) and spending time with his grandchildren. Vince Miller joined Gorham Inc. in 2014 as the sales representative responsible for customers in Southern Wisconsin, Northern Illinois, and Michigan. 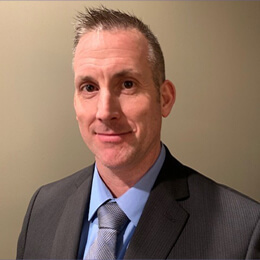 Prior to joining Gorham Inc. Vince worked in transportation and logistics for Werner Enterprises, holding operations, customer service, and sales roles over 14 years. Vince earned a BA in Business Administration from Emporia State University. Vince is married to his wife Julie and has two children, Gavin and Sydney. Outside of work, Vince enjoys golfing, reading, and supporting his kids in their many activities. Jeremy Peters joined the Gorham Inc. team in 2013. Jeremy is responsible for ensuring strategic selling and growth plans are being executed, and our customer and manufacturing base relations and expectations are being achieved. Prior to joining Gorham Inc. Jeremy was employed at Bruno Independent Living Aids for 16 years where he was responsible for new product development and project management. 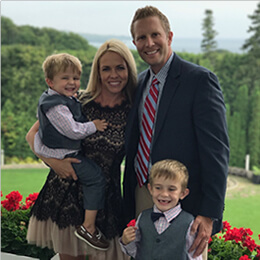 Jeremy holds an Associate’s Degree in Mechanical Design from Morrison Institute of Technology, a Bachelor’s Degree in Business Management from University of Phoenix and a Quality Certification from Milwaukee School of Engineering. Outside of work, Jeremy is a competitive racquetball player, and enjoys working out, hiking, biking, camping, traveling, golfing, and seeking relaxation. 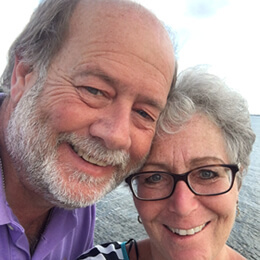 Leslie Lange joined Gorham Inc. in 2011, and works part-time as the office administrator. Leslie is responsible for accounting, inside sales, and whatever else comes her way. 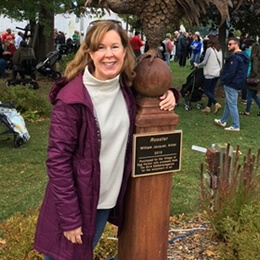 She received her BS in Accounting from Marquette University, and spent most of her prior years working at Blue Cross Blue Shield, Foley & Lardner, and Engberg Anderson Architects. Leslie and her husband John, have two daughters. Jenna attends the University of Wisconsin-Madison and Sierra is a high school senior, heading to UW to join her sister next year. Outside of work, Leslie enjoys traveling, golfing, cheering on our local sports teams, and doing volunteer work.